WWE announced last week that Ronda Rousey would appear on every Raw prior to WrestleMania 34, but that didn’t happen last night — and Pro Wrestling Sheet has learned the reason. 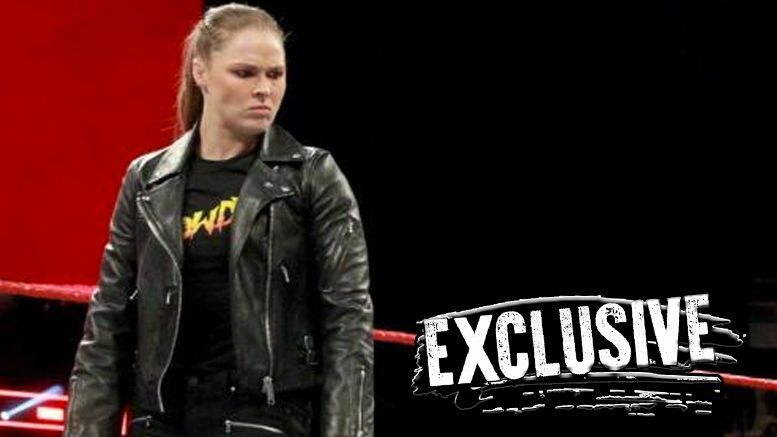 Sources tell us Ronda was “incorrectly advertised” by WWE.com because the newly signed Superstar was scheduled for medical testing in Pittsburgh on Monday, not Raw in Detroit. Our sources stress that this was NOT a case of Rousey skipping the show for another obligation and that she truly wanted to be there, but couldn’t due to the testing. It’s unclear who made the mistake on WWE’s side of things by publishing the announcement last week, but we’re told it was shared across all social media platforms because every department saw it was posted online and had no reason to believe they shouldn’t do the same. As we previously reported, the article has since been deleted from WWE.com. We’re told that from now on Rousey WILL BE PRESENT at every Raw prior to WrestleMania, but it’s possible she’ll be featured in a dark segment only seen by the live audience.